OK, when I say that I love this salad, I mean, it was so good that I made it 2 nights in a row. I basically drank the dressing. You have to be a little careful with the jalepeno (my grandpa used to say “jalepeeeee-no”) — make sure you take out most of the seeds. I do like the heat of it though and it really is necessary for the dressing to be perfect. The only thing I might add are some raw peanuts or soy nuts, the extra crunch would have been a great addition. Enjoy! I’ll see you tomorrow with your summer playlist! Asian Chicken Salad – Martha Stewart Recipes. This is what I made for dinner tonight. Except I forgot the panko bread crumbs — which was completely the point of the whole recipe. I ended up just pan-sauteing the pork and then slicing it. The sauce was actually tangy and fantastic. The salad was so completely boring — one item in a bowl. What was I thinking? Steve thought I had put him on a diet. So, I’m going to say if you want a REALLY fast dinner, this is the way to go. I would definitely remember the panko and add something to the salad like red pepper and cucumber. I know it may be snowing in your neck of the woods, but I am so sick of soup. Even my kids who love my chili, said last night “mom, can we have something that doesn’t come in a bowl?”. So, I’m thinking this salad is right up our alley. It has something in it that everyone will love. My picky daughter will at least eat the chicken and the oranges. I think I’m going to make a nice champagne dressing, with a little ginger and garlic. And, I’ll use the cashews that I bought the other day (to toast, I will put them in my little electric oven on the toast setting). Mexico, here I come! You should see me driving my little mini in this snow. I usually have to get a head start up some of the hills! Chicken, Feta, and Pistachio Salad – Martha Stewart Recipes. Ok, I admit it. I am a Martha Stewart junkie. I have been since I had my son — he even knew the name of her farm when he was a baby. When I go to look for recipes to share, her website is my first stop. She just gets it right every time. I made salad above and the roasted cornish hen recipe below for dinner a couple nights ago — Very good, very easy. I even loved the salad dressing — it had enough tang that I didn’t mind a little creaminess. 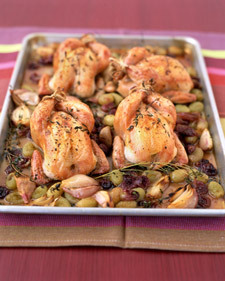 And, the roasted chicken grape/shallot combo was delicious. The grapes reminded me a little of cranberry sauce! This is a great fall meal. My kids ate every bite too. For the salad recipe, I copied everything exactly and it was perfect. Although, pomegranate seeds would be a nice addition. For the chicken recipe, I used bone-in chicken breasts instead. It seemed easier for my kids to eat — and more meat. Plus I get a bit intimidated by those little birds. Make sure you check on the chicken — and baste a lot. My grapes got a little over done because I wasn’t paying attention. Fall is really coming . 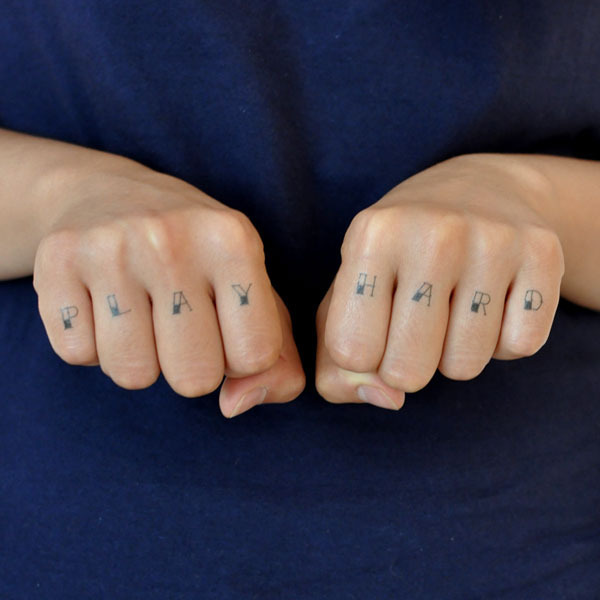 . . even though I’m fighting it. And, one of the things I do love about the season is the produce available. Apples are abundant and I love adding them to salads and savory dishes. But, I also love just plain ole applesauce. 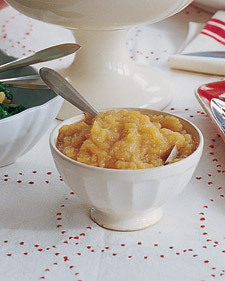 My grandma made killer applesauce — I can’t exactly remember how she did it, but I plan to ask my mom today and will share. It was very unique. Even though it was applesauce, my grandma cooked the apples so that they kept their shape. As soon as you touched it with your spoon, it would fall apart into saucy goodness. Martha has a good sauce recipe, so I’ll start with that. I’ll be in touch later with Cleo’s recipe (that’s my grandma). I really wanted to name my daughter Cleo. In regard to the applesauce recipe, I’d substitute agave for the sugar. Another one of my favorite spring vegetables is asparagus. If you’re not sick of it from your Easter or Passover dinner — try this recipe: Couscous with green and white asparagus & arugula Haven’t tried this one yet, but it looks good — and the recipe looks easy. Another great accompaniment to fish. BTW, you need to be having fish twice weekly — are you doing it? Make your dinners interesting . . . try new vegetables each week. Do you have a favorite vegetable recipe? I’d love to hear it.